Determined Soul tells the dramatic true story of how Jesus saved a little girl in her darkest hour. While swimming at age four, Kimberly left her body and went to heaven. She befriended other children who had died. She met Jesus, who showed her the wonders of his holy kingdom. Experience heaven through the eyes of a child and embrace a perspective that will help you on your own journey here on earth. Welcome Jesus into your heart and let him be your guide. Jesus will never leave you. Kimberly shares her own encounter with Jesus as he guided her through heaven, teaching her to value what is of true importance. She was forever altered, seeing first hand that Jesus is real, heaven is real, and that earth is not our home. Even if you feel lost in a big world, Jesus will never forsake you but will guide and love you. 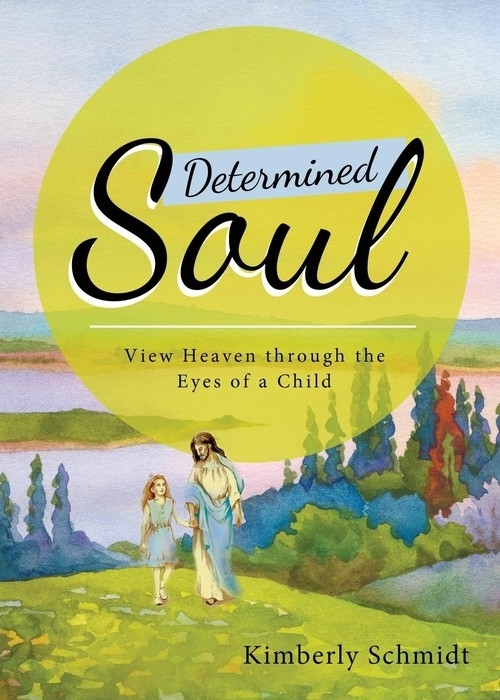 Determined Soul will warm your heart as you see the hope of heaven through the eyes of a child. Open your heart to change and learn of the hope to be found in God through this inspiring story.